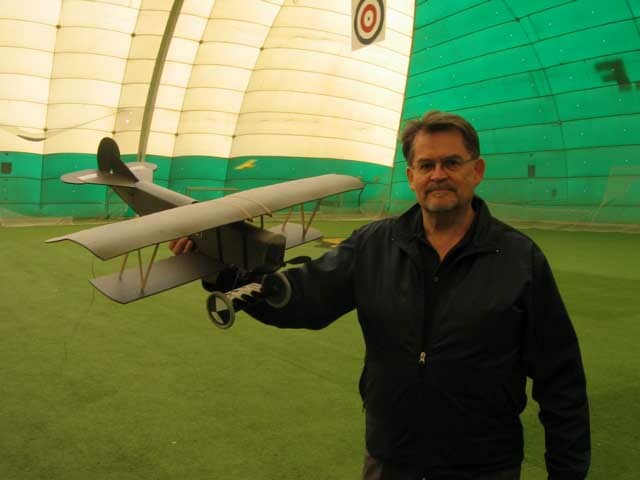 John Werner, looking pleased, now that his Fokker is trimmed out and flying nicely, at the April 29 2006 Indoor Funfly. Oakville May 2006 Funfly. 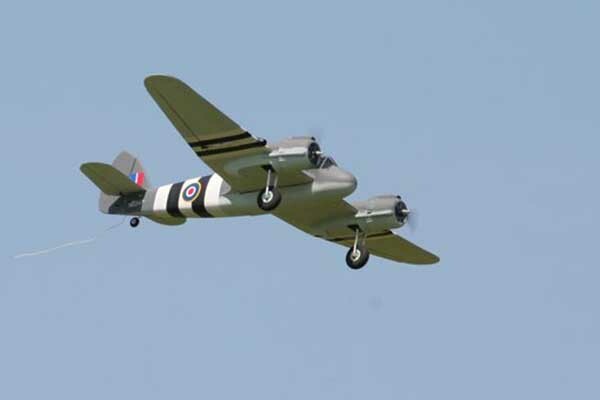 Glenn Nikolaiko's Bristol Beaufighter on an exciting flight. Oakville Funfly 2006: Half of the line-up of models on this hot and bright day. 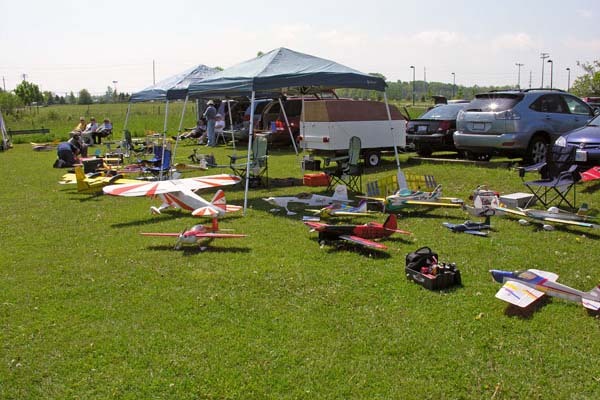 Oakville Funfly 2006. 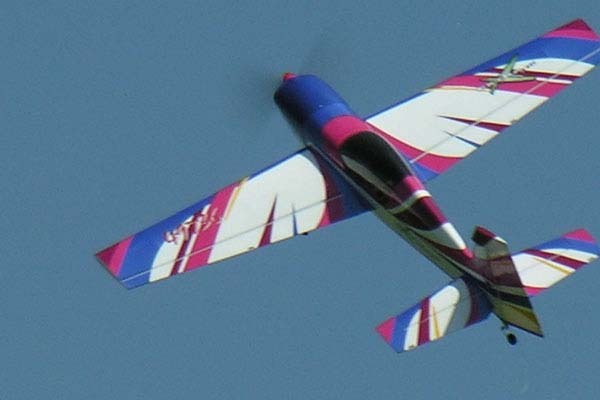 A large scale model (Fliton) Extra 300 3D flyer. Oakville 2006 Funfly. 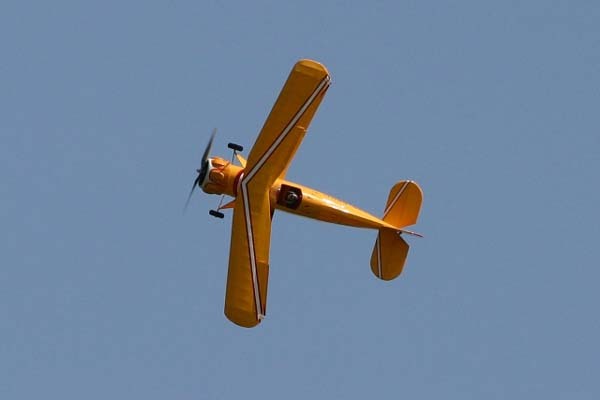 Chris McHugh's biplane dancing in the sky. Oakville 2006 Funfly. 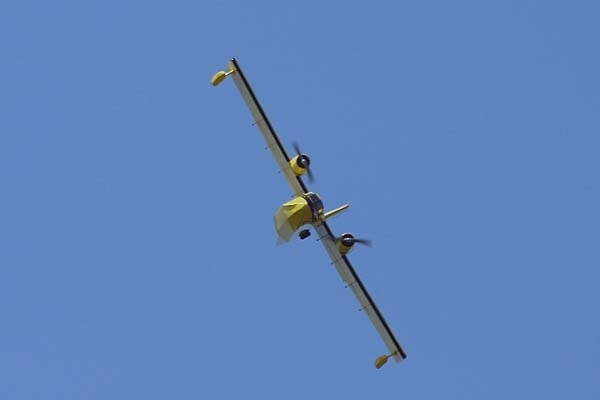 Robert Pike's Canadair Waterbomber ready to strike!